"When I looked around the room, I saw many smiling faces, chiefly due to YOUR efforts!". YOUR FUN is THEIR JOB! That’s right! 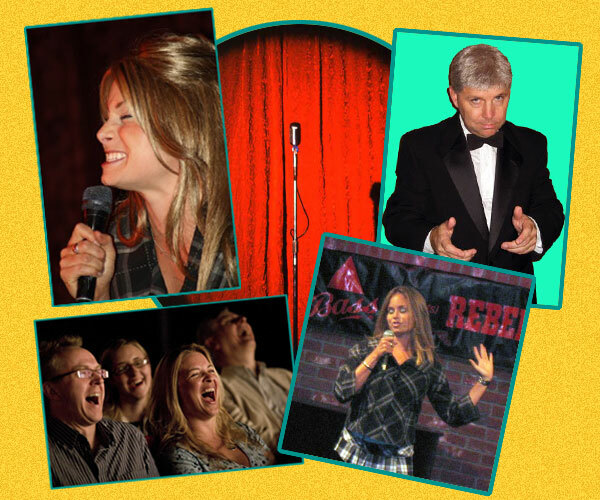 Our comics have headlined at many top comedy clubs throughout Southern California! And we will bring the comedy club to YOUR EVENT!! From living room parties to large corporate banquets, and from “Squeaky-Clean” to “Not-So-Much”, our professional comedians are a GREAT WAY to entertain! Your Guests’ sides will ache from our Gut-Busting Comedy! !